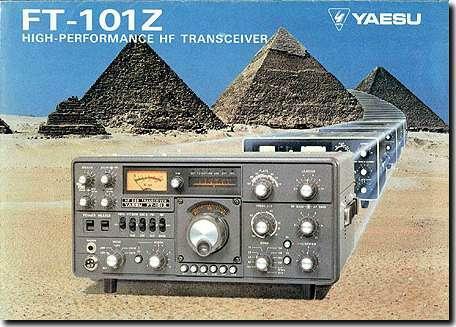 Back in 1970's when I was a teenager and aspiring to be a Radio Amateur, the Yaesu FT-101 series of amateur transceivers are well known to radio amateur's throughout the world was was the most popular HF rig. 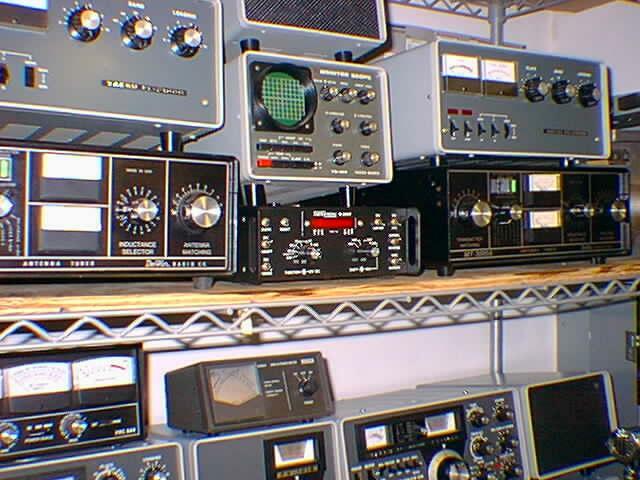 However by the time I finally had enough money and got my Novice license it was 1979 and my dream station was no longer for sale new and not easy to find used at a fair price due to the prices being paid by the 11 Meter crowd. 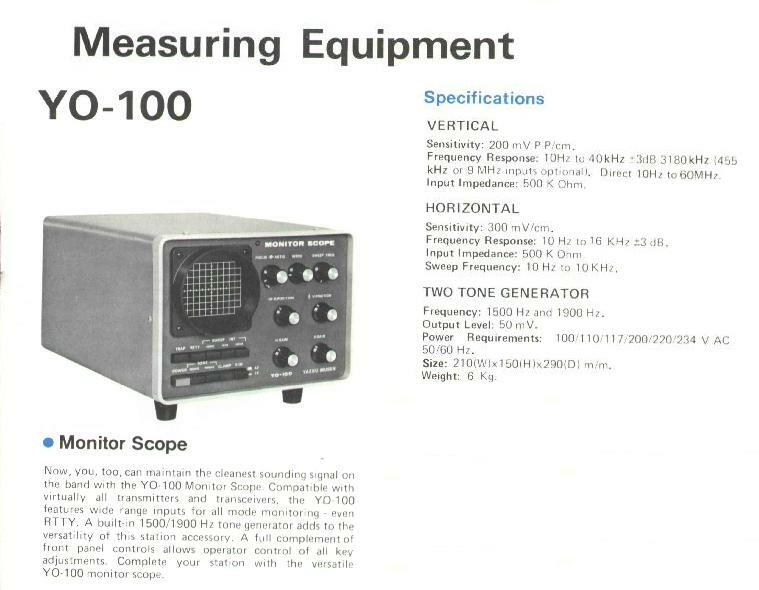 As this page develops, it will detail the FT-101 line and its off shoots such as the FL-101 transmitter, FR-101 receiver and FT-201 transceiver from what I have gathered in the way of documentation. I will also provide technical information on known modifications and new modifications to improve and keep these classics alive and on the air. 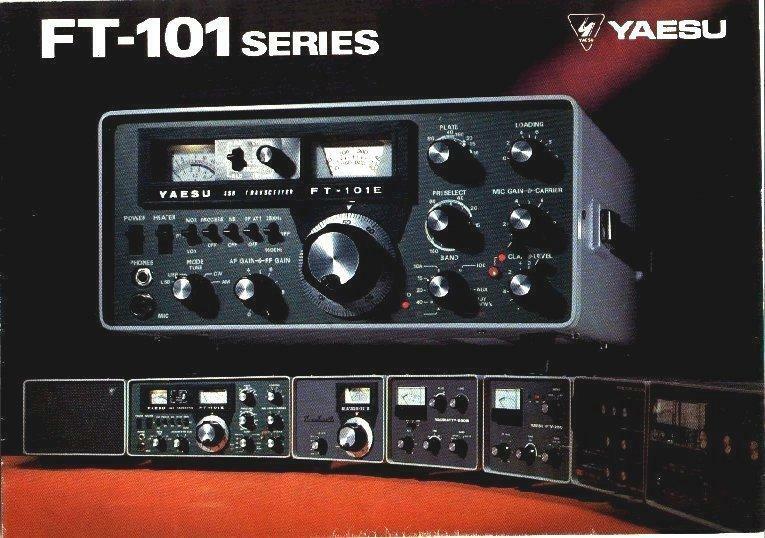 The Yaesu FT-101 series got off the ground to a rocky start beginning in 1970 overseas and official in 1971 in the U.S., with a number of variations introduced prior to the official culmination of the FT-101B in 1974. 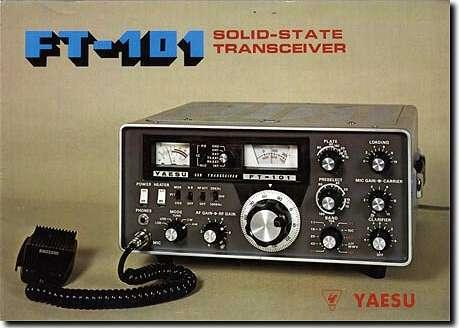 By the introduction of the FT-101E series in 1975, Yaesu had a really solid product that had become the standard of the by which all other ham band transceivers in the later 70's had to live up to. The FT-101F model in the series was the culmination of the series prior to being replaced by the completely re-styled and officially re-tubed (6146B replacing the 6JS6C finals) FT-101Zx series that in many ways with it's added features was even better, yet at the time left so much to be desired. 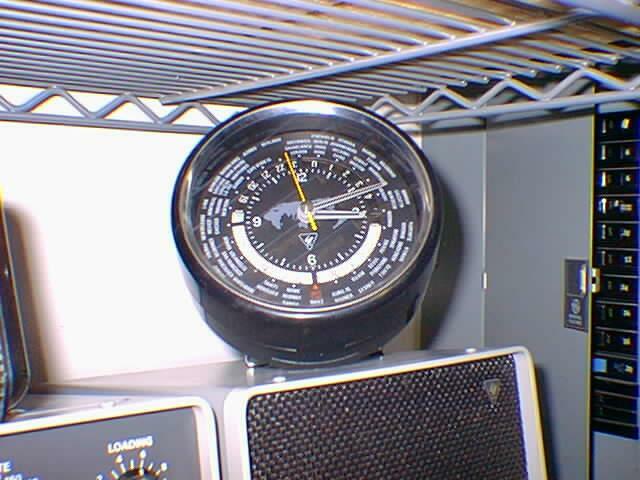 For over 20 years the only piece of Yaesu FT-101 station equipment that I owned was the QTR-24 hour clock that I bought new as a Novice in 1979. It is still like new and I have the original box in perfect condition as well, it was the only piece of Yaesu equipent that I could afford in those days. 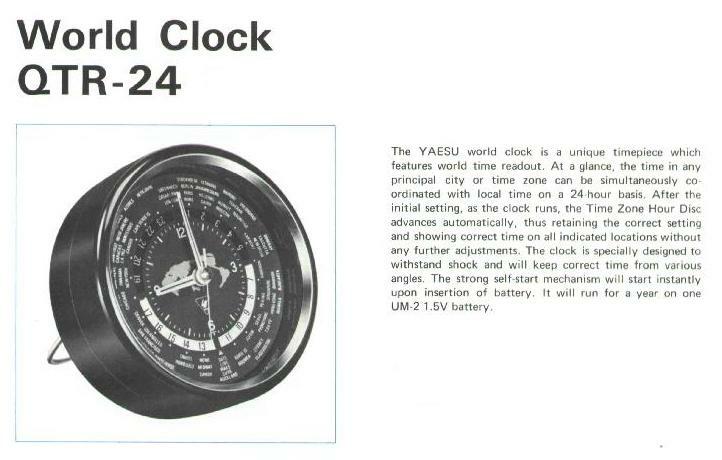 Here is an excerpt from the 1977 Yaesu catalog on the QTR-24. 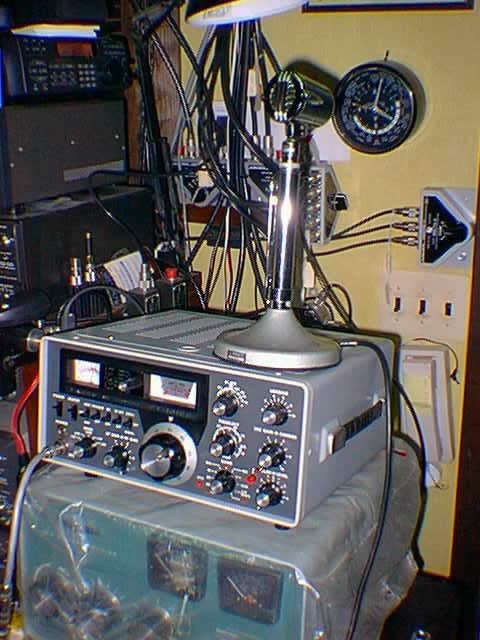 In the photo below you can see the QTR-24 on the wall when I was testing the first FT-101 I bought to get my 101 station started. 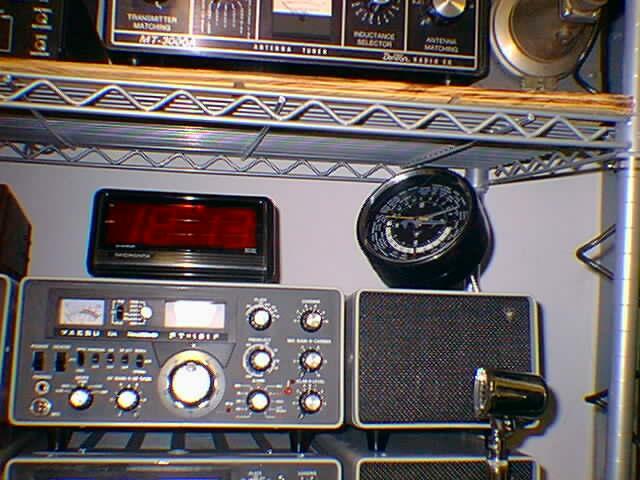 My QTR-24 is now part of my entire FT-101 line station where it was destined. 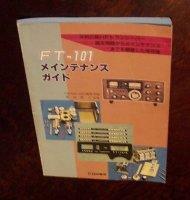 The FT-101 maintenance guide by CQ Publishing Company, Japan, is the bible on the FT-101. This book puts the entire FT-101 series of radios by Yaesu Musen, manufactured bewteen 1970 to the last shipment in April, 1979 in perspective. It covers the history of the unit from its inception through all the variations to technical detail. However, It is only avialable in Japanese and is currently out of print. What a shame. If someone should have one for sale please let me know. The FT-101 radios covered 160 (at first 80) through 10 meters, including WWV at 10Mhz and had the 11 meter (27.0-27.5Mhz) band shipped enabled for transmit (CBer's loved this!!) at first as the band still had Amateur Radio use by a number of countries overseas. Later during the FT-101B and earl FT-101E series the 11 meter selection was configured for receive only. In later FT-101E series versions the 11m crystal was removed altogether and the markings on the band switch was changed to AUX and my FT-101EE, FT-101F's and FT-101ZD are so marked. By the way, many FT-101x radios fell into the hands of CBer's and should you come across a used one, you may find many strange things, like missing ham crystals and substituted out of band crystals as a minimum. Although I know what constitutes a complete FT-101 station according to the Yaesu manual, my interest is basically in the Yaesu FT-101E, FT-101EE, FT-101EX, FT-101F, FT-101FE, FT-101FX transceivers. In addition, the derivatives in the form of the FT-201 transceiver and FL-101 transmitter and FR-101S and FR-101SD (digital display) receivers. I am also interested in certain station accessories to inlcude the FL2100B amplifier, FV-101B external VFO, YC-601B Frequency Display, YC-601 and YC-601B digital displays, YS-2000 peak reading meter, SP-101 speaker, SP-101P speaker/phone patch, that in my opinion are required to have a good working station. In addition, as I love the 6 meter band, I am interested in the FTV-650B 6m transverter and the FT-620B 6 meter transceiver. Yaesu made three different external digital displays for the FT-101 series, although they only uses two model numbers, the YC-601 and YC-601B. These digital display units differ in a number of ways, the YC-601B being the more desirable of the two for a number of reasons. The YC-601 was available in two versions, the second one being the most rare. The difference between the versions are this: the majority of YC-601 displays use a nixie vacuum tube with blue bezel display whereas later model YC-601 displays and the YC-601B uses standard red LED type cells as does the YC-500 frequency counters. Also, the YC-601B incorporates a general purpose 35 Mhz. frequency counter and has a female BNC connector on the front of the unit with a selector switch between use as a display or general purpose frequeny counter. The YC-601B units did not include the 11 meter band selection, instead they were labled AUX instead of 11m, as were many late production FT-101Ex units and later FT-101Fx units imported into the U.S. The YC-601 came along in the summer of 1974 along with the FT-101B. 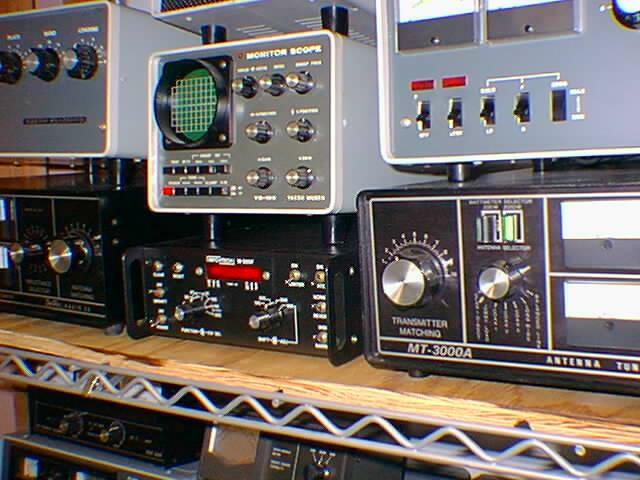 However, the first commercially available display for the Yaesu radios was the DD-1 by the U.S. Yaesu distributor Spectronics, who made DD-1 models for other radio makes such as Kenwood and others. Another 3rd party display was the Grand Systems unit, which was the most advanced dipslay ever made available for the FT-101 series and which required modifications to the radio for its use. There will be more details on the Grand unit in the future. 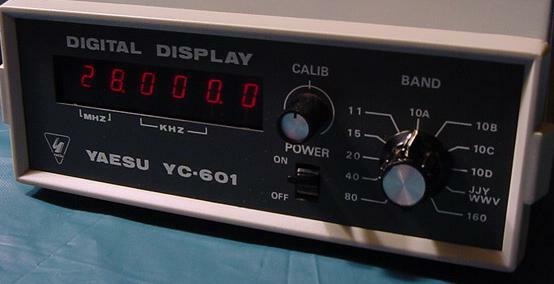 The YC-601B did not debut until March of 1978, soon after the entire line was discontinued, thus there are many more YC-601 displays in circulation than there are YC-601B displays. Note the red LED YC-601 units are very rare as not many were made prior to the YC-601B. Unlike the Grand display or my Kenwood DG-5 display on my TS-520SE (the station I bought new as a Novice and added accessories of external VFO and DG-5 to over time as I could afford) which mixes the mix the VFO, hetrodyne oscillator and mixer oscillator signals together for a true digital display of transmit and receive frequency. The Yaesu matching digital frequency displays for the FT-101 series transcievers accuracy depends on the operator using the crystal clibrator on the tranciever correctly or a frequency counter (like the YC-601B) to calibrate the display as only the VFO frequency is displayed. The YC-601 and YC-601B go between the FT-101x and any external FV-101/B VFO if you use one. The YC-601/YC-601B can also be used with the FR-101S receiver as well with a slight modification detailed in the user's manuals. The YC-601 also have an RCA jack on the back for use lieu of the standard accessory cable, this jack is most often used with the FR-101 receiver. The use of these units on the WARC or off the ham bands will negate paying attention to the leading Mhz display in most cases, unless one modifies the band switching system to display the appropriate leading digits. On the YC-601 this requires reworking the discrete diode matrix that is used to select the leading 10's of Megahertz display. 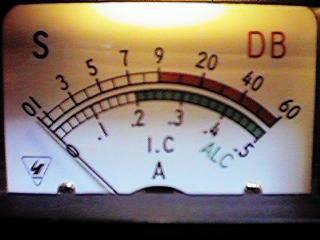 The YC-601 unit is easily modified to achieve this for the 12m and 17m bands as will be detailed here in the near future. However, the YC-601B does not use discrete diodes but rather two 14 pin diode blocks that complicates matters, it is a fair amout more work to provide support for the display of 1-29Mhz. 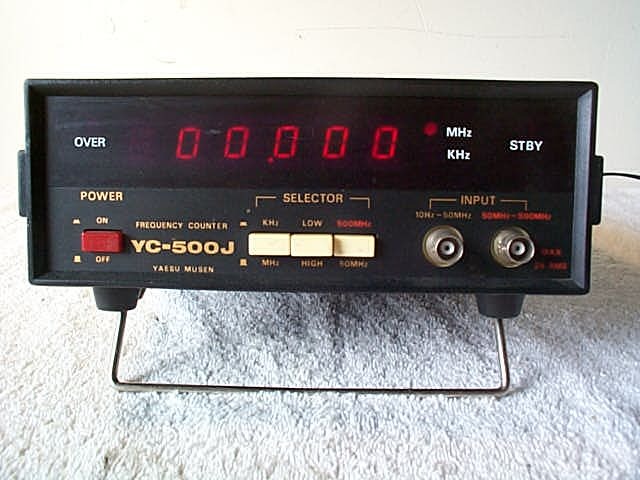 Yaesu also made general purpose frequency counters, the YC-500 series was technically part of the FT-101 line up, however as they were only frequency counters, they did not provide receive frequency readout. They did however provide operation to 500Mhz and were reasonably priced depending on stability option choose as three models were available, YC-500E with .02 parts per million (ppm) accuracy, YC-500I at 1ppm accuracny and YC-500J with 10ppm accuracy. The YC-500 featured IC technology and provided 8 digit accuracy with a 6 readout readout iwth selectable Mhz/Khz switch and AC/DC power operation of 120VAC or 13.8VDC. It was a lab quality instrument utlizing a G-10 glass epoxy circuit board. 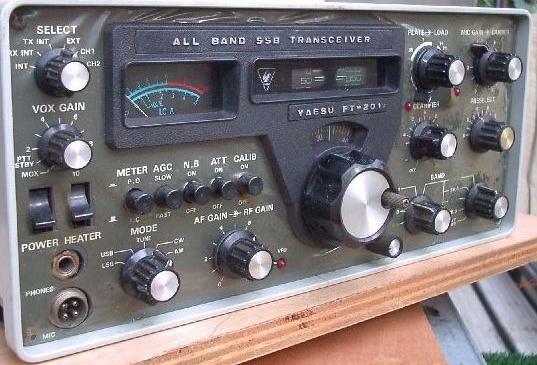 Although I am also interested in the lesser known FT-201 160-10m 100w transceiver, few of which were ever imported into the U.S., and which were more expensive to make than the FT-101 series. The FT-201 was styled like a mix between the FT-101E/EE and the FL-101/FR-101 twins. An interesting featured was the two part band switch with 160-15m on one then it selects the 2nd switch which has all of 10 meters and WWV on it as seen below. In addition, I am also interested in the later FT-101Z series in the form of the FT-101ZD transceivers and accessories, of which I now own a perfect example FT-101ZD, FV-101Z VFO and SP-901P speaker phone patch. 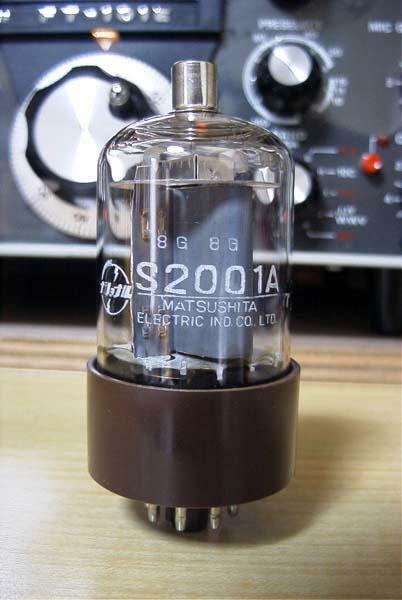 The FT-101Z evolved from the FT-101F series and is an improved radio in many ways, such as the Matsushita S2001A (6146B) finals, which were found in final examples of the FT-101F radios that replaced the 6JS6C tubes. Beware, the Japanese 6JS6C and american made 6JS6C tubes have different characteristics and thus require a slight modification of the neutralizing circuit. 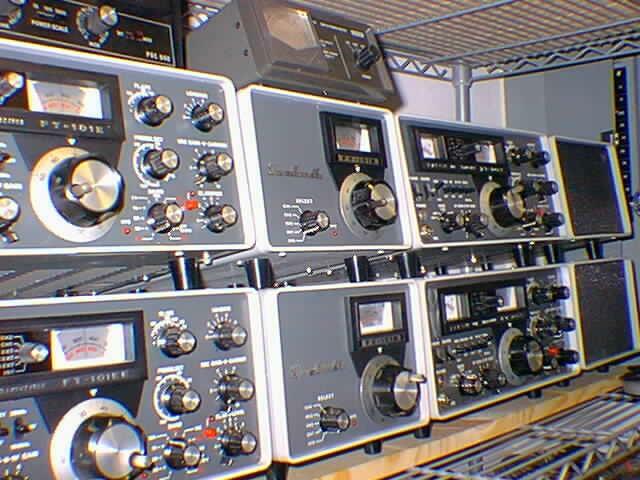 The use of the 6146B in Japan was undertaken first by Kenwood in its TS-520 and TS-820 radios while Yaesu was still struggling with the 6JS6C horizontal sweep tube production problems in Japan. When the day comes that the supply of 6JS6C tubes drys up or become cost prohibitive the article in QST from 1999 and the schematic for the FT-101ZD will be my guide to convert all my FT-101 radios that use 6JS6C tubes to use 6146B finals. At present I own prestine late model editions of FT-101E and FT-101EE (serial number 270K+) transceivers and two FT-101F (serial number 380K+) transceivers, and FL-101 Transmitter and FR-101D receiver. 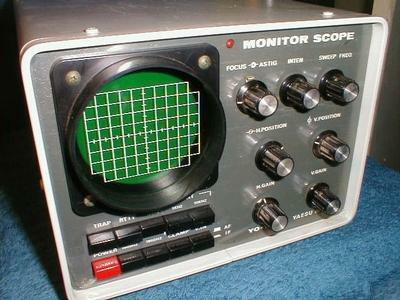 In addition I have three mint SP-101 speakers, three mint FV-101B VFO's, an YO-100 monitor scope. The YO-100 as any monitor scope or general purspose scope is a much needed item in every Amateur station and is the best way to monitor your stations transmitter. I have owned three FL-2100B amplfiers and have kept two, one went to a good friend that did me a big favor in preparing my house for and later transporting my huge Collins 204F-1 amplifier, but that's another story. The FR-101D receiver, like all FT-101 receivers, is an all solid state and can be set up to tune any 500Khz segment between 1.5 to 30MHz except 5.5 to 6.5 MHz due to the mixing scheme. The FR-101D receiver also s upports internal plug-in converters 6 and 2 meter operation. The early 6 and 2 meter converters covered only the lower 2 MHz of each band. 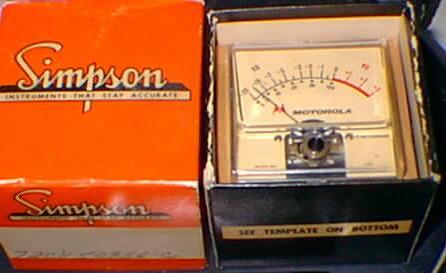 Later models covered the full 4 MHz and additionally, the later model 2 meter converter had improved front end filtering. Output from the internal converters is internal to the receiver, but the receiver must be tuned to the 10 meter band. Separate SO/239 connectors are on the back of the receiver for HF, 6 and 2. 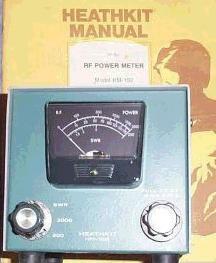 The receiver has an IF frequency of 3.180 MHz similar to the FT-101B and uses the same crystal filters. The receiver options are FM detection, FM crystal filter and the AM and CW filters. The optional FM detector pulls its IF signal from the noise blanker. 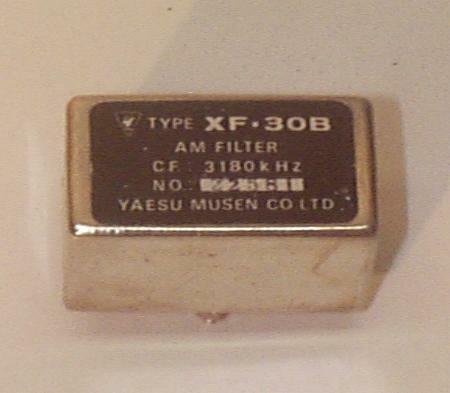 If the FM crystal filter is installed, it is also used as the noise blanker filter. 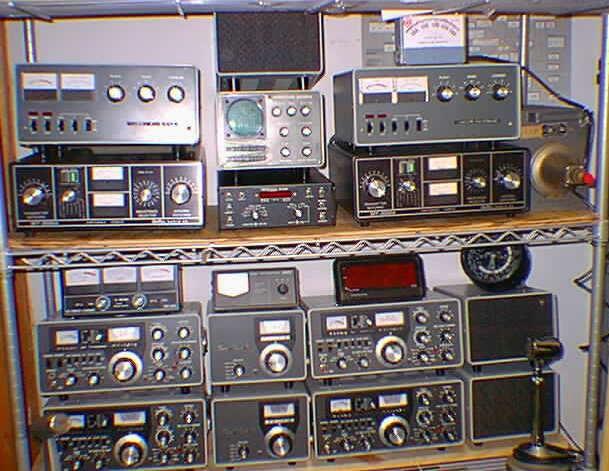 The receiver is the same size as the FT-101 transceiver and is designed to be slaved to the companion FL-101 or to the FT-101 transceiver. 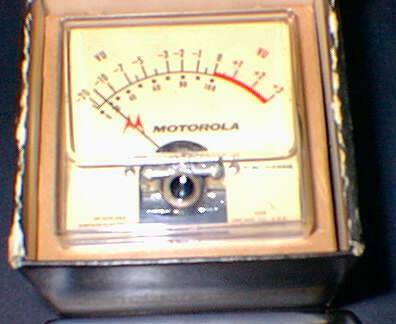 The FR-101S is much the same receiver but with a digital display in place of the 100 kHz dial. Below is a photo of my current FT-101 station, at least what I can fit on two shevles of a full size heavy duty lan rack. 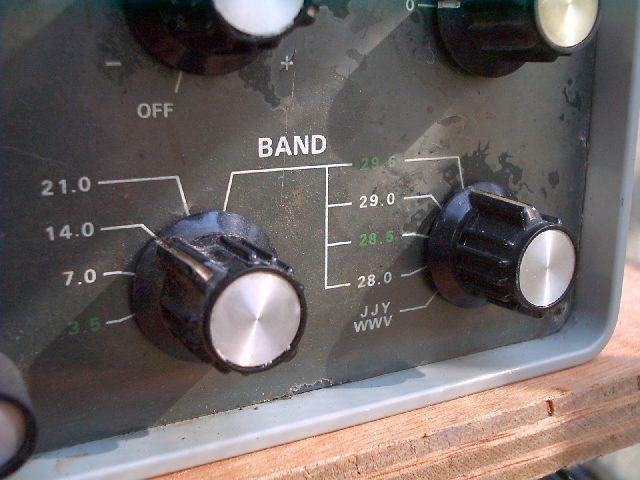 When I picked up my first FT-101EE as a package deal, it included the CW filter and an older FV-101 VFO. I bought it sight unseen and did well as it is was in real good physical condition for it's age with finals that are still up to full output. I later picked up some FV-101B VFO's that match the later FT-101E and later units in styling and color. Then I got a deal on my first FT-101F and I also picked up an AM filter to install in the FT-101F as working with just an SSB filter on AM is too painful, but being able to switch between the two (can do this on my TS-930S) can be a blessing at times. I currently have in my collection an FT-101E, two FT-101EE, an FT-101F and FT-101ZD, with various VFO's, exgternal speakers and speaker phone patches, two FL-2100B amplifiers and various other accessories, plus all the manuals and Fox Tango newsletters for reference. I also plan to to improve the equipments with various know modifications to included adding 12 and 17 meters. I will also be modifying radios to enable the 10Mhz WWV/JJY postion for transceive operation as well. I also have two Dentron MT-3000A antenna tuners in the station that I also wanted when I first got license, but could only afford the punny MJF-901 antenna tuner. I also have a PDC-6000 VSWR/Wattmetter/Modulation meter mainly for use as a modulation meter on 10 meter A.M., however the YO-101 is my main tool in that regard. I am also modifying some HM-102 into switchable peak rading meters for use with the station. In addition, I am working on converting an old Heathkit HM-102 into a modulation meter using a Simpson made Motorola labled modulation meter movement. Details of this shall be published here in the future. Click here for NW2M FT-101 information page.